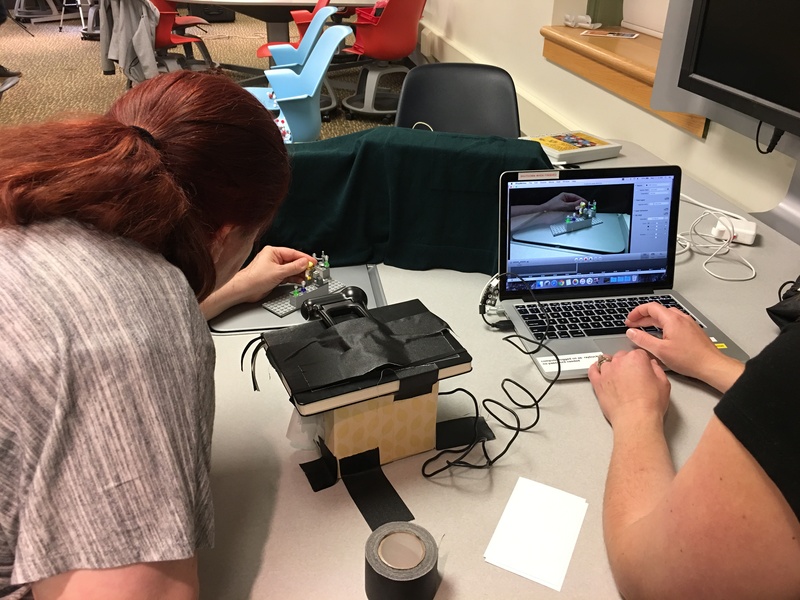 Digital Pedagogy & Scholarship hosted an Animation Workshop this summer co-taught by Brianna Healey Derr, Digital Pedagogy & Scholarship Specialist for Video,and Daniel Nienhuis, Video Production Specialist. The workshop focused on how animation can be an innovative and an educational form of teaching or scholarship. There are so many examples of animation out there in the world and they exist as this really great form of entertainment but how can one translate animation into the realm of academia and more importantly why? Well, here are a few reasons why you might consider investing in animation. Animation can work for any discipline, but the STEM fields may benefit from it the most because animation can take these really complex processes and break them down in a way that is understandable and understandable in a visual way. In this four day workshop, faculty were introduced to a variety of animation tools including a flip book app called Animation Desktop, iStopMotion to create frame by frame animations, and Apple Motion to create key frame animations. You can view the animations created in this workshop below. If you are interested in scaffolding an animation project or module in the classroom or interested in incorporating animation into your research, please contact Brianna Healey Derr, bh022@bucknell.edu. And check out these great resources courtesy of Daniel Nienhuis. Flip Book App (Animation Desktop) Compatible for both iPhone and Android.